Published on August 23, 2016 in Best Places, Coastal Holidays, country breaks and hill walking, Holiday Ideas, inspiration, News, Travel Inspiration and walking holidays. Closed Tags: national trails, self-catering breaks, walking holidays. At CountryCottagesOnline.Net, we love exploring the UK and we believe strongly in encouraging others to do so. The UK is such a rich and diverse landscape and this has helped to establish numerous magical, stunning and contrasting national trail routes. These renowned routes are a wonderful way to spend your holiday time and help you to better appreciate the UK’s special environment. 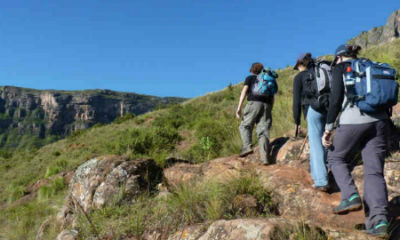 What’s more, it is extremely good exercise physically, but also mentally as these walks are in some of the most secluded and tranquil settings you could wish for. From flat planes to mountainous regions, from coastal to country, rural to urban, and much more; the UK is dense with diversity and things to see and do and many of CountryCottagesOnline.Net’s self-catering properties are found within or near to some of these wonderful walking trails. We have selected just a few of our favourites which are found all throughout the UK. Considered to be one of the best walking routes anywhere in the world,, this famous 630 (taking a section of this vast route is perhaps advisable at first) mile trail takes you round some of the most stunning countryside you’ll find anywhere. From Exmoor National Park in Devon, all the way round the Cornwall coast, going back through Devon via Exeter and Torquay before finally ending up in Poole (Dorset). The scenery and tranquillity of the walk make it an unforgettable one; there are so many highlights that mean, should you tackle a more sensible section of the route, you are sure to encounter some memorable landmarks and landscapes. 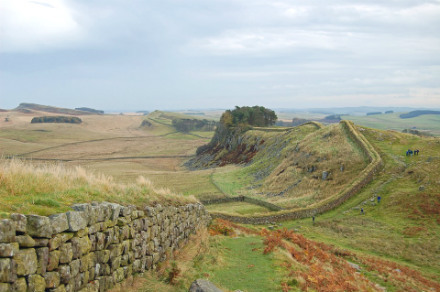 This coast-to-coast trail stretches along one of the UK’s most famous and historic heritage landmarks, and perhaps the most famous in all of Northern England, Hadrian’s Wall. This 84 mile walk is full of history (such as Roman forts and houses) and there are numerous pubs, towns and views that will add to the experience. For famous landmark’s, Thames Path is hard to beat. 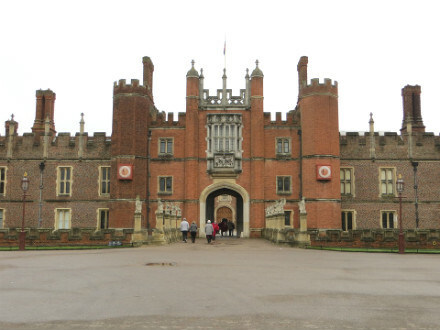 There are seemingly countless, world-famous landmarks along this 184 mile trail; from Hampton Court Palace to the Oxford Bodleian, there are a vast number of historic, heritage landmarks to absorb and enjoy along the way. Aside from popular landmarks, the trail, which passes through the joint border of the Chilterns and the North Wessex Downs AONB, is full of wildlife and passes through many peaceful towns, villages and natural settings. Along the England-Wales border, Offa’s Dyke Path follows the 8th Century Offa’s Dyke and takes you through a vast array of contrasting and wonderful landscapes. The trail is full of wildlife and is sure to be a memorable experience for all who attempt any length of this 177 mile stretch. There is also the opportunity to see many historic landmarks along the way, such as Llanthony Priory, White Castle and the Jubilee Tower.